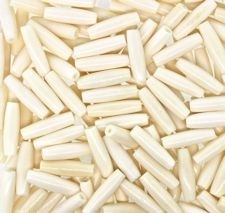 Your choice of 1" white buffalo bone hairpipe beads in Pkg of 20, 50, 100, or 1000 beads. Perfect for making native american inspired chokers. This product was added to our catalog on 07/21/2018.